You no longer need to subscribe to dozens of security mailing lists to watch for software updates. We'll deliver fully customized notifications to your email. Steve is a WordPress blogger. He likes to tinker with technologies but he doesn't like to check updates for all PHP applications and plugins he's using. 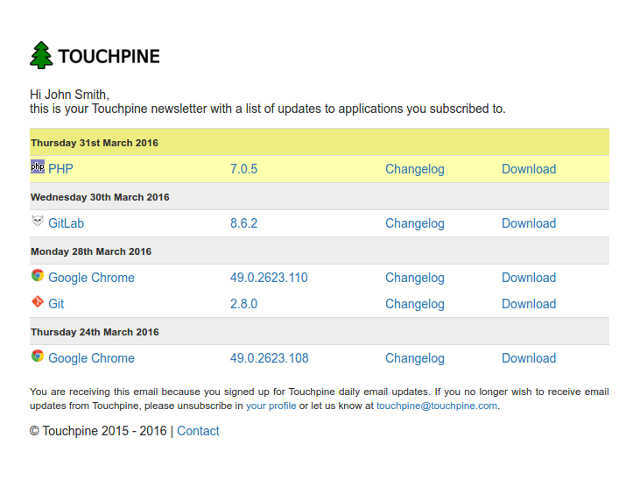 Thanks to Touchpine he doesn't have to do that anymore. He's always aware when there is a new version out. In his free time Steve is doing Ruby development. 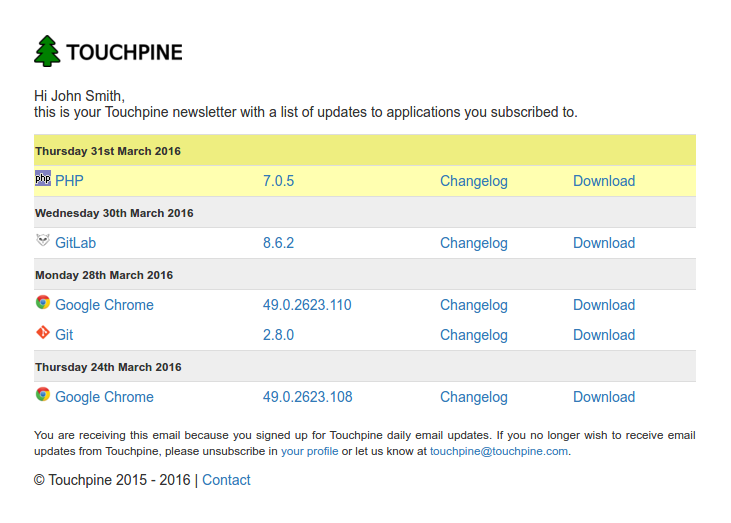 Touchpine gives him latest updates for Ruby Gems used in his projects. Meet Maggie. She's a mail server administrator using Postfix and Dovecot. Updates for these packages are covered by Debian automatic update system. She likes to use bleeding edge products on the front end. These are not packaged in Debian default repositories. 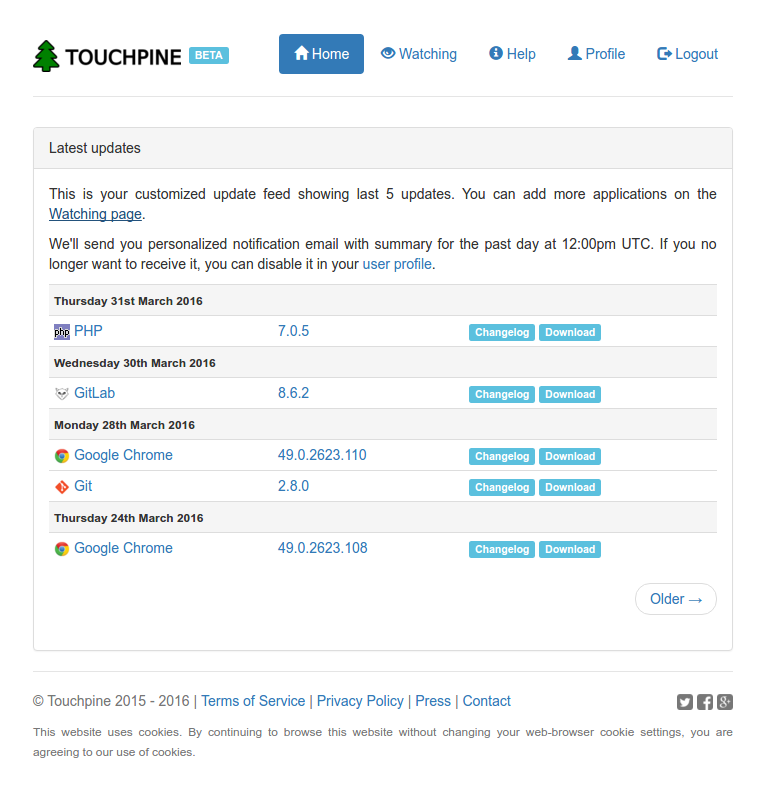 She's covered by Touchpine for Roundcube web front end and Baïkal CalDAV and CardDAV server. This is John. He's a techie interested in Bitcoin and crypto currencies in general. He always has the latest gadgets and software. He's subscribed to Bitcoin TREZOR firmware updates notifications on Touchpine as well as updates for his favorite Electrum and Mycelium Bitcoin wallets software running on multiple platforms. 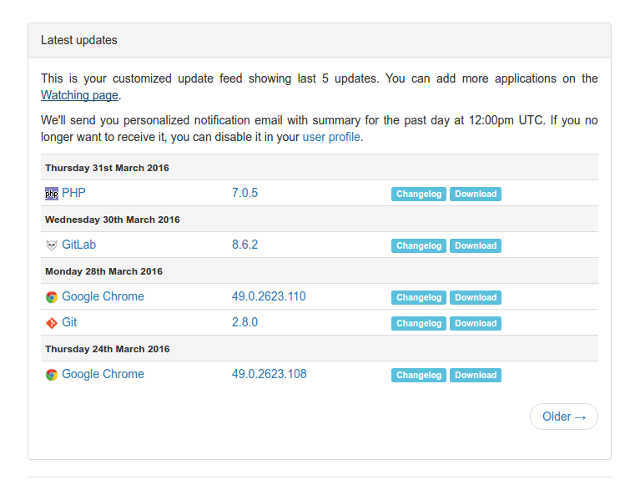 All notifications about version updates are delivered to your email address. 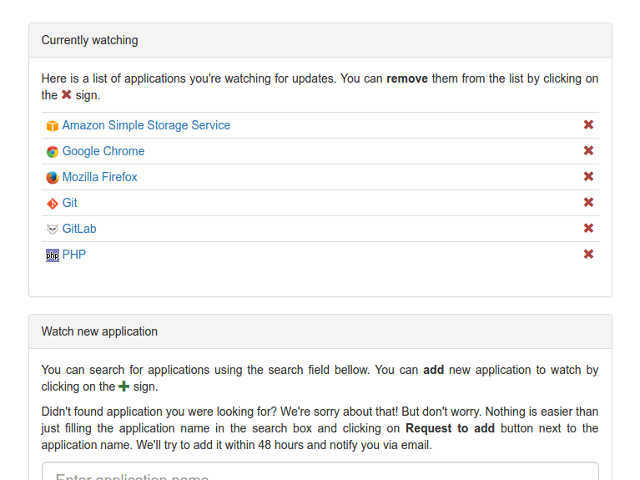 You can subscribe to your personalised RSS feed with applications updated. We optimize our site and emails to be easily readable and usable on a desktop as well as on mobile platforms when you're on the go. 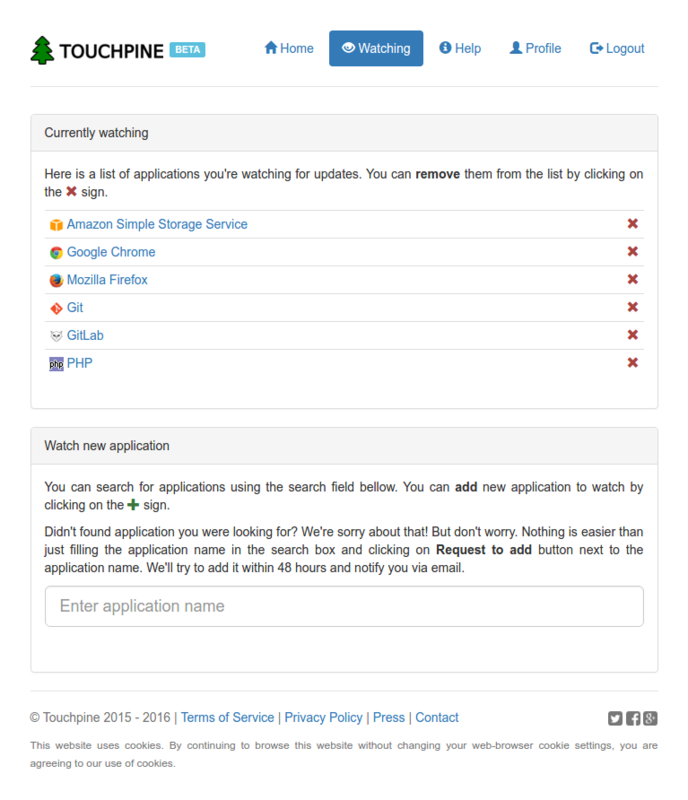 It's up to you to customize the email notifications in our dashboard to perfectly fit your needs. Are you missing your favorite software in our database? We'll try to add it within few days. Do you want to add extra feature or modify something? We're flexible. Drop us a message and we'll contact you!